As scary as the thought of it can be, surgery has saved countless lives. But it also in many cases has been either totally unnecessary or dangerous complications arose before and after the actual operation. Sometimes those complications can be life-changing or downright deadly. If you are facing surgery now or are considering it in the future, please read this article in its entirety because there are some important facts that you MUST know so you can make the best decision for you. If surgery has been recommended by your doctor, always, ALWAYS get a second opinion and possibly a third. That’s not to say that you lack confidence in your doctor. It’s simply a matter of covering all bases—as the old saying goes, two heads are better than one, and three are better than two. Plus there are some physicians who perform surgery simply out of a lack of knowledge or training in a less-invasive alternative…and talking to other doctors might bring that to light (and save you a lot of recovery time!). If two or three doctors all agree upon your treatment plan, then chances are excellent that’s probably the way you should go. Although practically any surgery can be unnecessary at times, here are five which carry a high risk of being done without medical necessity. This involves inflating a balloon in a narrowed artery to clear plaque, then a wire tube (called a stent) is inserted to help keep the artery open. When performed during a heart attack, this can be a life-saving procedure, but many times heart disease patients are treated with angioplasty even though they haven’t had a heart attack and/or less invasive treatment could have been an option. Disc herniation is common in our society, and one of the popular treatments is spinal fusion--surgery that joins or fuses two or more vertebrae. However, current estimates show that the best success rate for spinal fusions is only about 25 percent! Many people with herniated discs have gotten tremendous relief from non-surgical options like physical therapy, chiropractic treatment, yoga, acupuncture and exercise. Some studies show that performing a hysterectomy may be unnecessary up to 70 percent of the time. Research has shown that in many cases of knee and hip problems, physical therapy alone and/or combined with exercise was found to be just as effective in relieving discomfort as surgery…and at a significantly reduced cost and risk. Caesarean delivery is the most commonly performed surgical procedure in the US and its rates of performance are increasing. But research shows rates have increased even among lower-risk pregnancies, suggesting that convenience (avoiding the pain and stress of vaginal delivery) may be a driving force behind the decision in some cases. Sometimes even after second and third opinions are sought and all other options are weighed, surgery is still deemed as the best option. At that point you can help enhance the success of your procedure and recovery by supporting the health of your immune system. 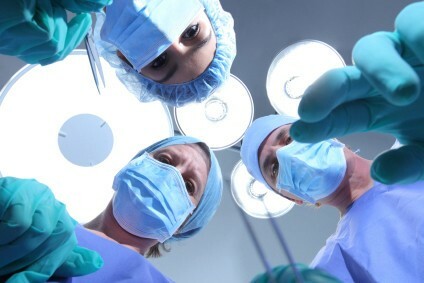 ANY kind of surgery poses various risks during and after the procedure, such as complications and infections. According to the Centers for Disease Control & Prevention (CDC), post-op infections alone affect about 500,000 people in the US each year. If those 500,000 people all had immune systems that were healthy and strong, chances are excellent that some could have avoided infections. Now, one of the more serious infections that you can contract in a hospital is Clostridium difficile ("C. diff"). C. diff in its mildest form causes diarrhea and cramping, but at its worst it can lead to life-threatening colon inflammation, dehydration, kidney failure and death. Research has shown that C. diff rates DOUBLED in hospitals between 1996 and 2003, and it's blown past MRSA as the most dangerous hospital infection threat. It's very common to receive antibiotics or pain medications (or other drugs) after surgery. While these medications certainly can be helpful and ease your discomfort, they also wreak havoc with the beneficial bacteria in your gut--destroying them and giving harmful bacteria the "upper hand." This can eventually hamper your immune system function and leave you MORE susceptible to infections and complications! In order to heal properly, it's vital to not only eat nutritious foods that support your body’s healing efforts, but to make sure that nutrients are being absorbed from your foods and dangerous wastes and medication residues are being properly eliminated—and your friendly gut flora helps these processes along. Your immune system is where it’s at! Clearly your immune system is something you want to pamper, especially if you’re facing surgery! Avoid fast food, processed food, sugars and refined carbs. All of these feed the harmful bacteria in your gut, which makes it easy for them to flourish and crowd out your friendly flora, which then can impair your immune function. It's crucial for the health of your immune system as well as your overall health to eat a healthy diet of real foods that your body can efficiently break down and from which crucial nutrients can be assimilated and absorbed. When you focus on consuming good carbohydrates (like whole grains, fresh fruits, vegetables and legumes), get enough fiber, and have healthy sources of fats and proteins, you not only encourage better overall health, but also you help nourish your friendly gut flora. Nothing beats our new Immune Boost Bundle in helping you sharpen and strengthen your precious immune system! Super Shield multi-strain probiotic formula: Super Shield’s 13 strains of beneficial bacteria act to repopulate your body’s own supply of helpful intestinal flora, where 70 percent of your immune system resides. Hydroxaden 2.5 B12 spray: Vitamin B12 is essential for the formation of the white blood cells that comprise your immune system. It’s also a very common deficiency, so supplementation helps ensure you have enough of this crucial nutrient. Vitamin D-K Factor: Vitamin D helps to prevent excessive, inflammatory immune responses, such as those that are seen in autoimmune conditions and allergic reactions. The special synergy of these three outstanding products working together can help support your efforts to keep your immune system is as strong and sharp as it can be! If you’re facing surgery, make sure that it is the right decision for you. And whether you’re facing surgery or not, you can either help your body recover, or help avoid getting sick to begin with by enhancing your natural disease-fighting army—your precious immune system. PS: The day is fast approaching for the release of our new multi-vitamin formula Super Core! I’ll let you know as soon as it’s available!